60 Days | A compact determinate perfect container gardening. 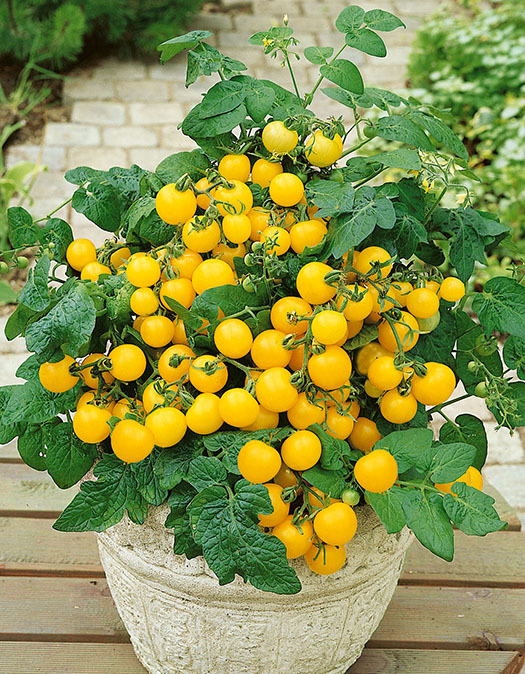 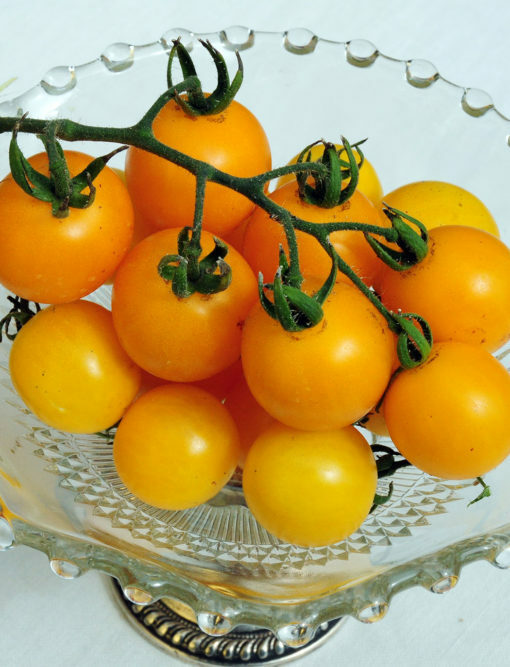 Yields loads of sweet, mild yellow cherry tomatoes. 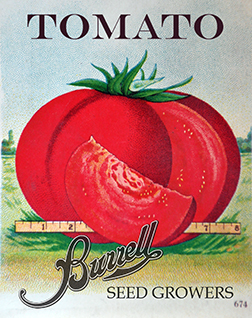 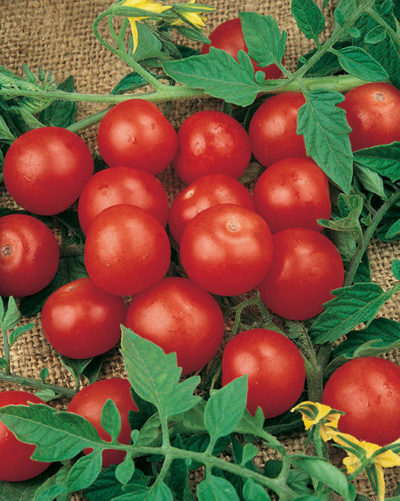 Short vines display bright clusters of up to 100 tomatoes per plant. 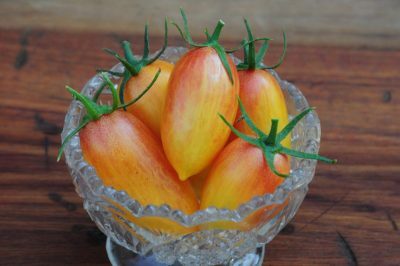 A delicious ornamental.